The STC Plastic Surgery office in Ontario is known for its superior customer service, patient privacy, and workmanship. For these reasons, the doctor’s office can be a bit busy. The doctors and staff began to explore creating a space for patients to recover from minor treatments thus opening medical rooms for consultations or more intense procedures. 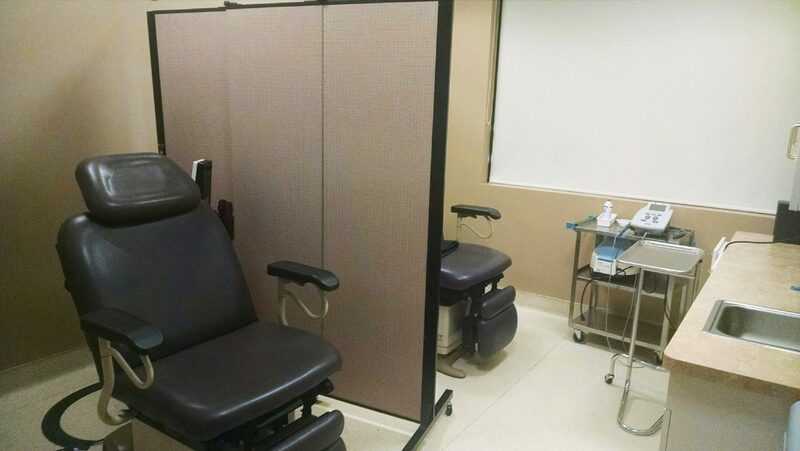 After extensive research, Dr. Machida and staff decided that a Healthflex Room Divider by Screenflex was the best option. The ease of movement, quality construction, and sound absorbing qualities contributed to their decision in choosing Screenflex as their patient privacy screens. A factory applied antimicrobial coating can be added to the fabric surface to prevent the spread of germs and bacteria.